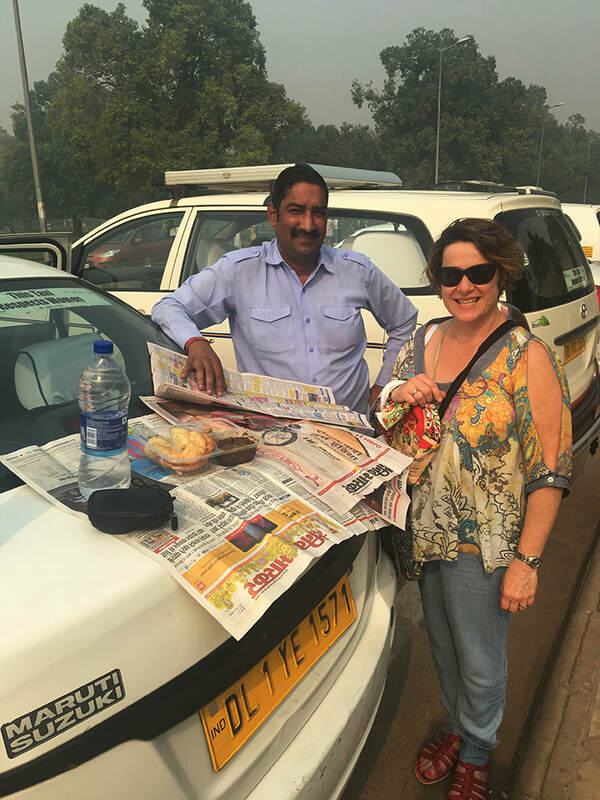 A few images from my culinary tour of India in October 2017 with Peta Mathias. 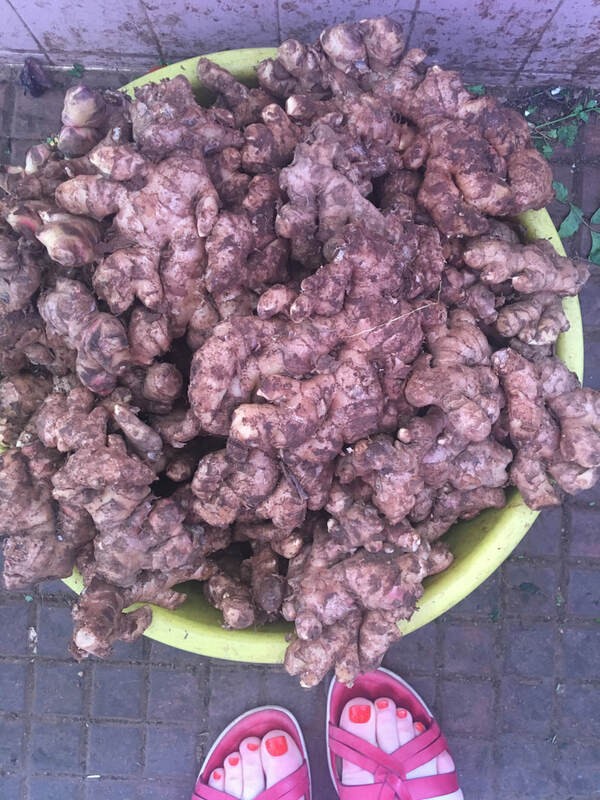 Photos: Fresh seafood and produce at a food market in Goa; Chorizo was introduced to Goa by the Portuguese. 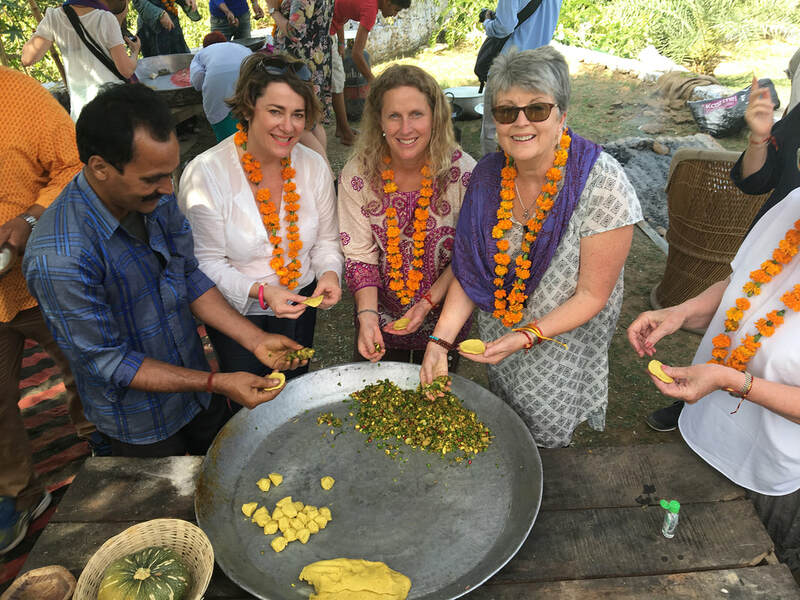 Making divine little dumplings for lunch; Our Delhi driver provided Chana Bantura 'taxi driver's picnic' (very fresh light flat bread, chana and potato masala and pickles); More fresh market vegetables; Tumeric plants growing at the organic Diggi Palace Farm in Jaipur, Rajasthan. 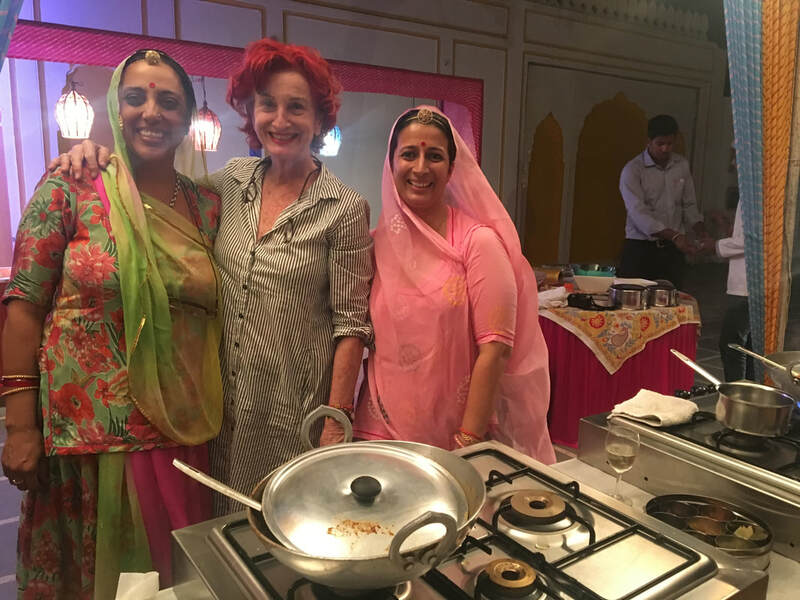 The Singh family own Hotel Diggi Palace, where our tour started, Jyotika (left) and Kaushika (right) are sister-inlaws who married into the Singh Family, they specialise in running Culinary Workshops; Jaipur.